If you’ve followed Marcy’s Instagram lately you know she’s found a new love of all things mushroom! 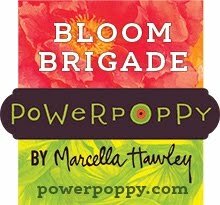 So her awesome mega set from Power Poppy, Wild Mushrooms is so timely to celebrate her new hobby! 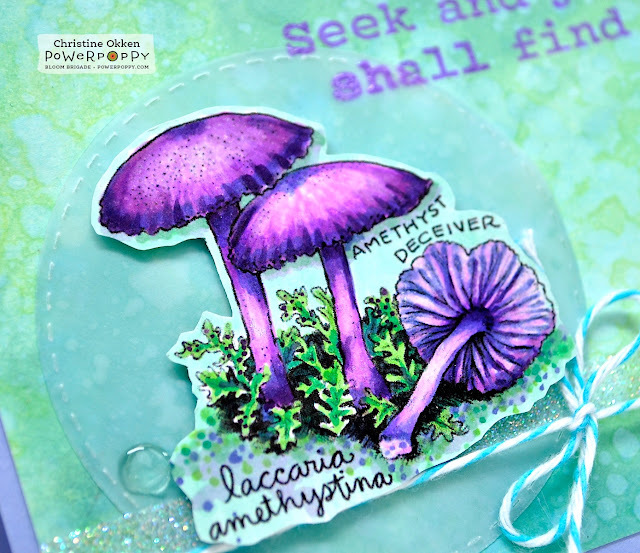 What I really love about the set, is that each mushroom is beautifully illustrated, and if you research them, each has a unique style and colour. So though you can colour them up in any way you like, if you want to do them realistically - there’s a lot of different colour variety to choose from! This gorgeous purple mushroom really does come in that dramatic purple - though it does change in what tone of purple over it’s lifetime. I’ve given it a real pop of electric purple here. I’ve paired the mushroom with a Distress Oxide Ink background done in Cracked Pistachio and Evergreen Bough, with a little Broken China done on the vellum circles. All sprinkled with water and then dried with my heat tool. See them in the wild? What an amazing colour! Mushrooms: V01, V04, V06, V09, BV00, BV04; greenery: G14, G16, with the background in BG11. Wow! 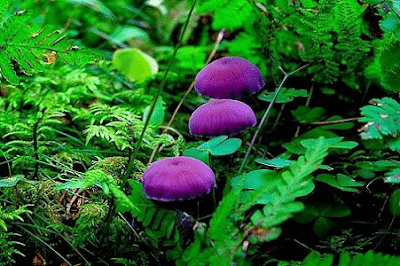 I never knew purple mushrooms existed! I love your card! I looked these amethyst mushrooms up the other day and had the strongest urge to color them. First things first. All the mushrooms are fantastic. Love this set so much! Beautiful card, Christine. Your background is magical! Wow, this is gorgeous Christine. 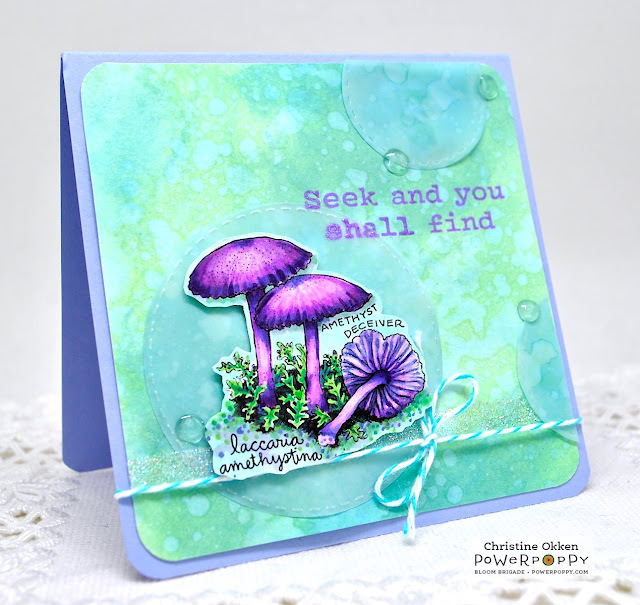 Love the background you created against your vibrant amethyst mushrooms! I agree with Leslie - the background is very magical indeed! I just saw on one another blog that these mushrooms are in purple and I am totally diggin it! My mind always thought mushrooms are brown, white and dirty. Been googling all these and finding out the rainbow of colors and just loving it. This is darling. I like the vellum and the soft touches of your coloring. Totally CUTE!